Today: The leaf everyone loves to hate -- except us! We just can't quit you, kale. 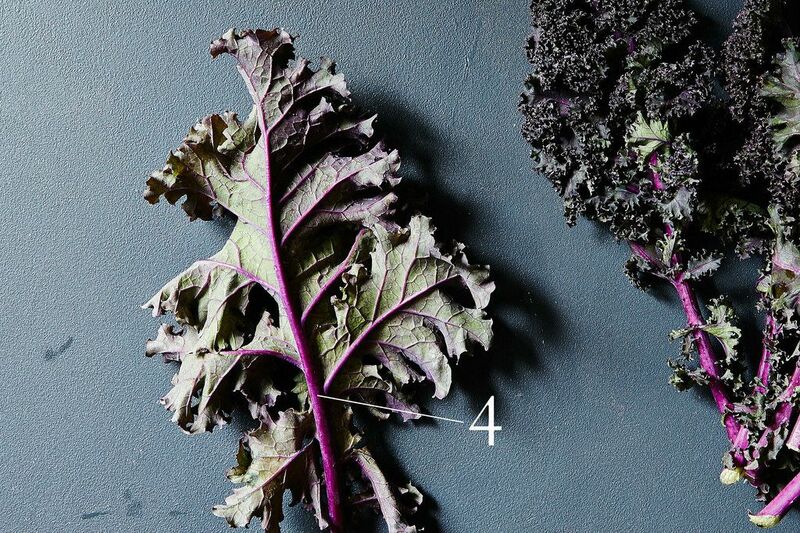 With how divisive kale has become, it’s no surprise to hear that kale is a member of the oft-maligned Brassicaceae family. It actually belongs to the same species (Brassica oleracea) as some of the most derided family members, like brussels sprouts, cauliflower, and broccoli. But kale doesn’t deserve its current level of contempt. 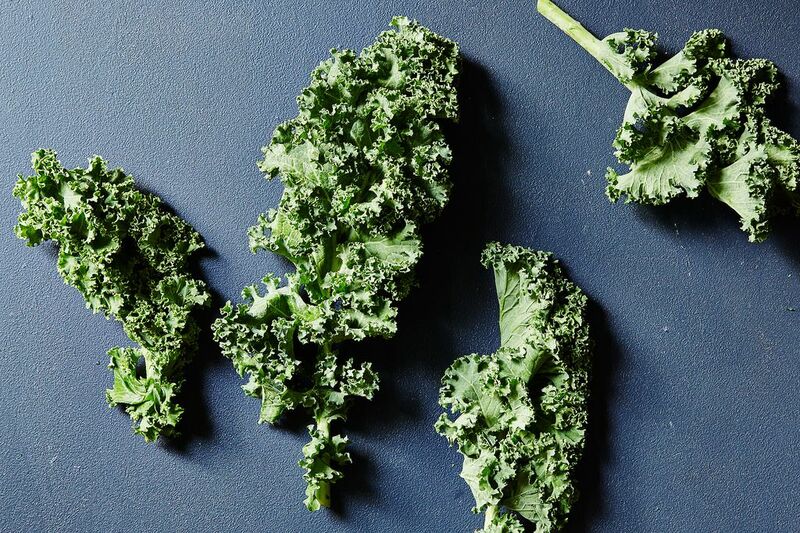 Yes, its ubiquitous presence means there might be a kale salad on one too many menus, but it has to be hard for an unassuming leafy green when labels like "super food" get thrown at it -- kale didn't ask for that. Some people think we’re riding a kale bubble that's soon to burst, leaving us to all move on to the next hip vegetable, whatever that may be, but I’d like to disagree. 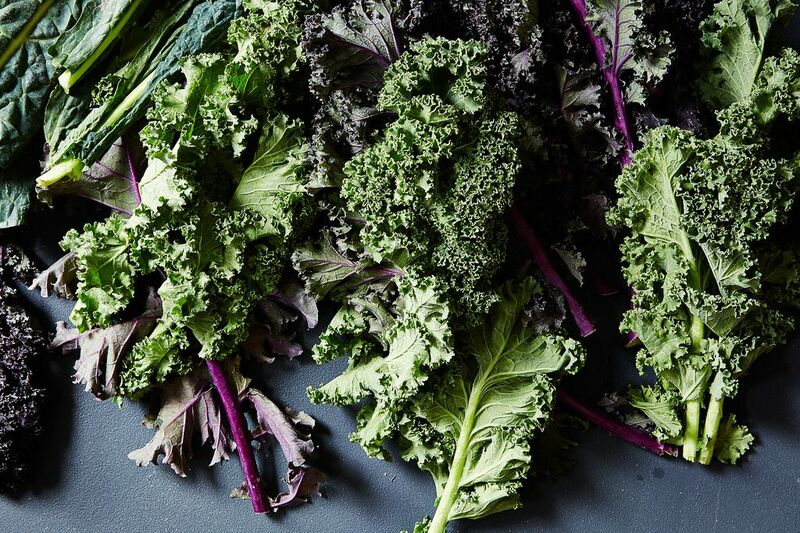 Kale is here to stay, and not just because it’s super nutritious, but also because it’s versatile, it’s at its best during the coldest months of the year when fresh vegetable selections are slimmer, and most importantly, it tastes good. Of course we’re biased -- around here we throw kale parties, choose our logo color based on a particularly nice leaf of Tuscan kale, and own kale clothing (okay, that last one’s me -- I own this sweatshirt and so does Beyoncé). Even we have a limit though: This is it. 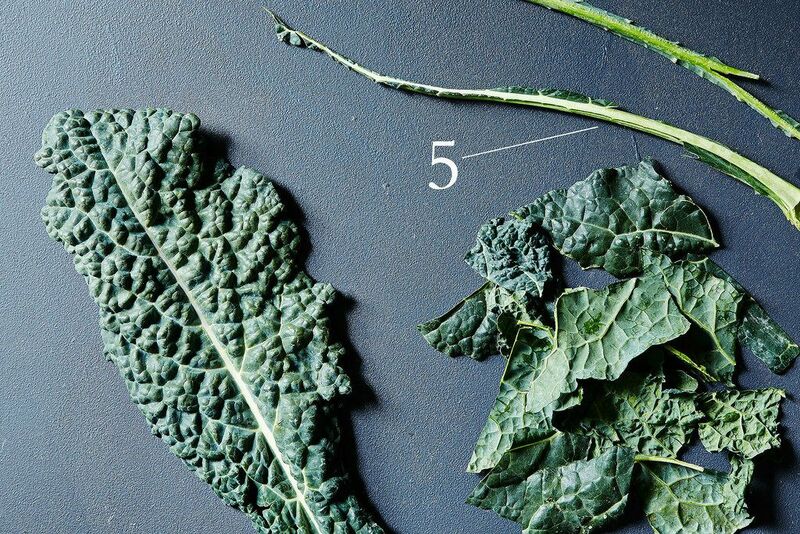 More: Have a few bunches of kale in your refrigerator? You have a week's worth of dinners. 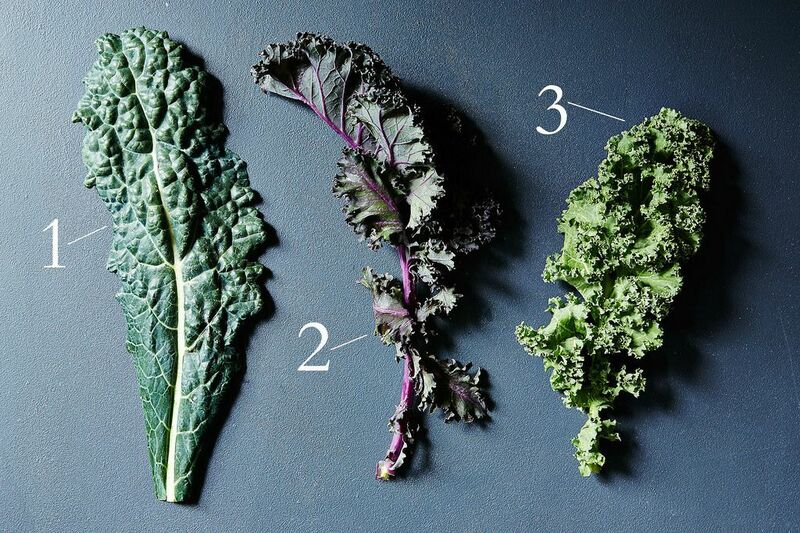 Scotch kales (3, above) have very ruffled, curly leaves and, fittingly, we often simply refer to them as curly kale. If you’re using very small (sometimes called baby) kale leaves (or sprouts! ), the stems can stay; otherwise you’ll want to remove each one (5, above), either by tearing it away from the leaf with your hands or slicing it away with a knife. (Here's a step-by-step visual of that process.) Once the stem is removed, you can then break down the leaves into the size best suited for your use. 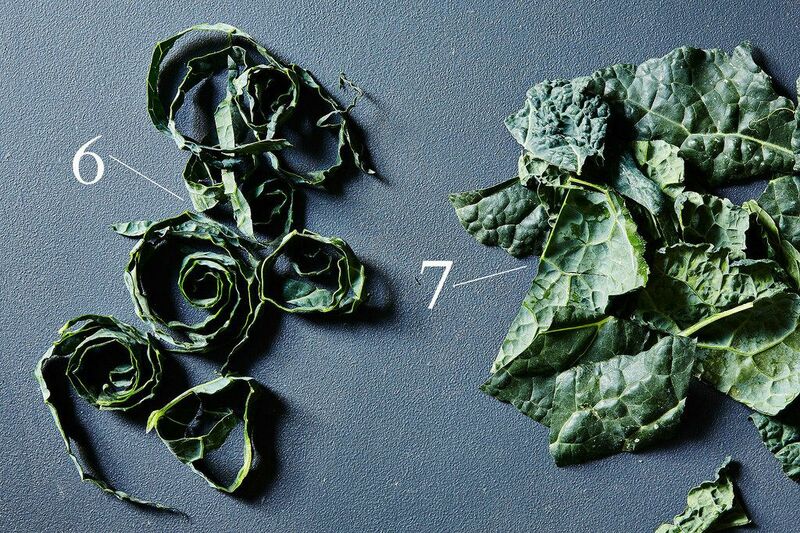 We most often either tear the leaves into pieces (7, below) or slice them into thin ribbons (6, below). More: Those stems don't need to be discarded -- start putting your kale stems to good use. Have kale for breakfast by mixing it into a wintry take on shakshuka. Use kale in soup: Leave it in pieces, for soups like ribollita or minestrone, or blend it into broth or water, like in Anna Thomas' Green Soup or this lemony kale and chickpea soup. Turn it into a sauce or a spread, like chimichurri, pesto, or tapenade. Try kale in Mexican dishes like tacos, enchiladas, and quesadillas (which technically starts with a kale salad, but it's then mixed with cheese and sandwiched between tortillas, so it definitely doesn't count as a salad). Give its super food title the finger and drown your kale in cream -- or cream and miso. Mix kale with pork and wrap it all up in lacy caul fat. Pair it with pasta (try linguine with breadcrumbs) or with udon noodles and a spicy peanut sauce. Kale and potatoes play well together, too. Try stuffing the greens into a twice-baked potato. This is a safe space. Tell us: How do you really feel about kale? Kale has well and truly made it into my life. I love a quick saute finished with chopped dried cranberries, currants and any nut combo you can find. Or the food52 recipe with salmon and coconut rice, so yum. 1 quart chicken broth add a bunch kale, shredded, and use the stems, too, cut into 1/4" slices. Add 1-2 potatoes, in small slices. Linguica or other sausage, pre-cooked and sliced and 1 cup canned and rinsed cannelli beans, optional, for an even more filling soup. salt and pepper, oregano, rosemary, to taste. Cook the kale in chicken broth along with the sliced potatoes, herbs, seasonings, sausage, and beans, optional. When kale is tender, stir in 1/4 cup instant potato flakes to thicken, and mix with other ingredients. Let stand 5 minutes to thicken, stirring the soup. Add more broth or water if a thinner soup is wanted. Serve. As a home gardener, kale is ridiculously easy to grow from seed. Every spring I grow enough kale to try every kale recipe. Favorite so far is Creamed Kale Au Gratin. The neighbor ladies will take all the kale I can give them. When I get truly overloaded I fill some kitchen garbage bags with kale and take it to the food pantry as part of the "Plant A Row For The Hungry" program.